We regard almost all assets (e.g. 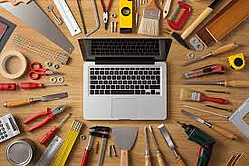 stocks, bonds, ETFs, mutual funds, alternatives, and even derivatives) as tools and nothing more. For us, all that matters is the instrument’s behavior relative to the asset class in question. If stocks (or any other asset class) are going higher, we want to utilize a tool that captures that behavior. In that sense, a debate about passive versus active, or ETFs versus Mutual Funds, misses the point. And it distracts advisors and their clients from the most important aspect of investing - What is your strategy and how will you implement it? Our primary objective at Blueprint is to capture these advantages and fuse the benefits of risk management, technology and efficiency to deliver a powerful investment solution. Given that passive instruments are our primary input, how we utilize them to execute our strategy is of the utmost importance. 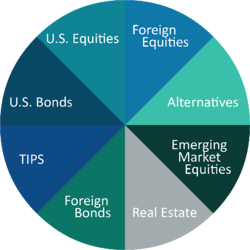 Below is an example of how our asset allocation process systematically ebbs and flows across these passive instruments, and utilizes the tools to build and adjust the portfolio over time. 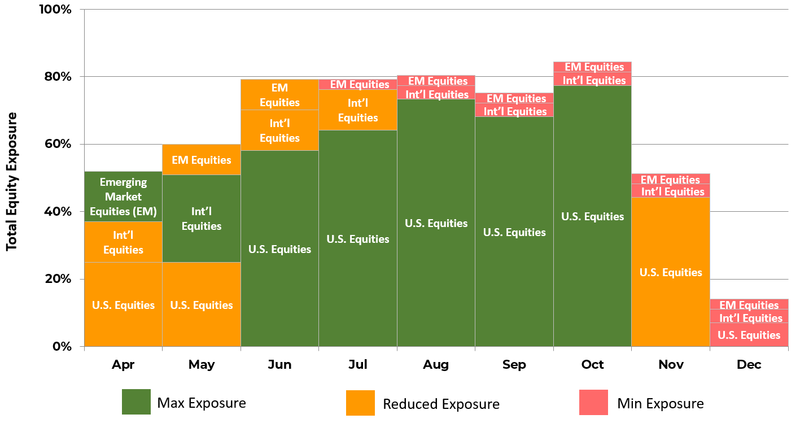 This process resulted in a nearly optimal global equity allocation throughout 2018. This is not a recommendation of any security or strategy. Intended for informational purposes only. Past performance is not indicative of future results. In our view, whether you choose an active fund manager or passive index, the incremental difference between the two pales in comparison to the larger portfolio management aspects of how you execute the strategy. Our focus is on systematic decision-making, investor behavioral considerations and time and asset diversification. This year, 2018, has shown us all that regardless of the tool, the choice and execution of the process is ultimately, what matters. In a sense we agree with Jeff Gundlach - purely passive investing is not the right approach. Buy and hold investors are surely feeling a lot of pain right now if they are holding a portfolio of passive instruments. We believe an active and systematic process utilizing passive instruments as tools is the most effective strategy – and this belief is evidence based and strengthened by results.